Um, do you mind? 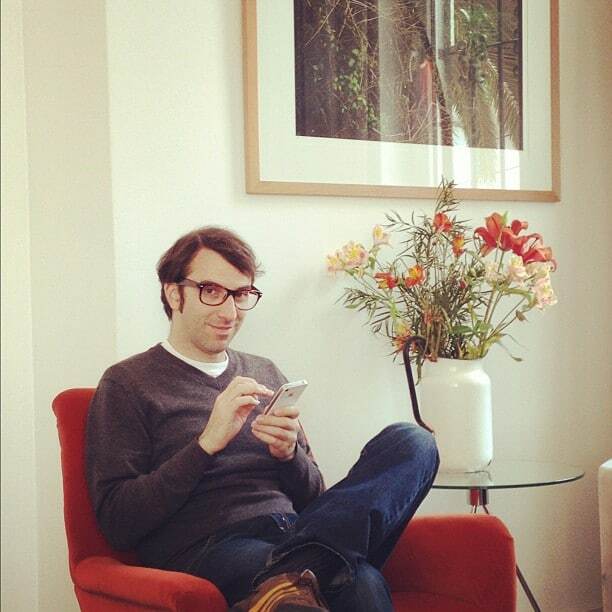 Trying to send out a tweet here: "@jamesonfink: Sitting in a chair in a hotel lobby in Valparaiso, Chile." I’m feeling guilty that I didn’t hand-select my 5 favorite blog missives for this post. (“Then why didn’t you do it? Lazy blogger! Boo!”) But I like the idea of letting the numbers decide my Top 5 Posts for 2012. It was surprising and very curious to see what resonated the most. But next year I promise to be a bit more creative. Ok, a lot more creative. 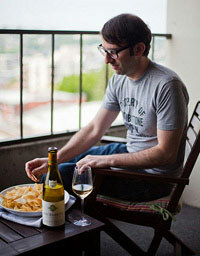 At the International Food Blogger Conference in Portland, Oregon, I had the pleasure of running a food and wine pairing session that involved wines from Chehalem and Skittles, among other things. One of the sponsors, Jenn-Air, hired Idea Farmer to film some of the sessions. I was flabbergasted by how cool it turned out, which had little to do with me and a lot to do with Idea Farmer. Check out the cool intro (with guitars!) with a couple highlights of Portland as a prelude. I don’t think food bloggers were quaking in their boots over this post, but it was nice to get some love for my cooking. This photo was taken in Portugal. 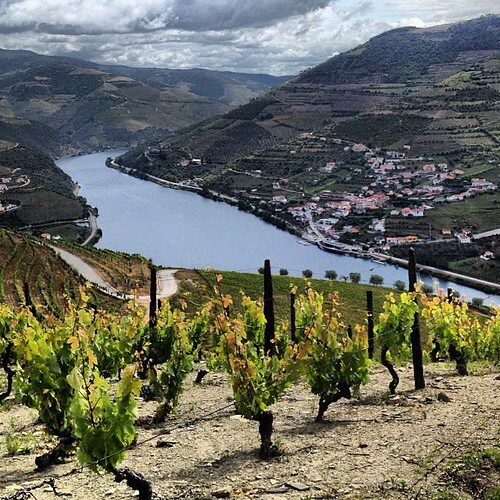 You’re looking at the vineyards of Quinta Dos Murcas, high above the Douro River. 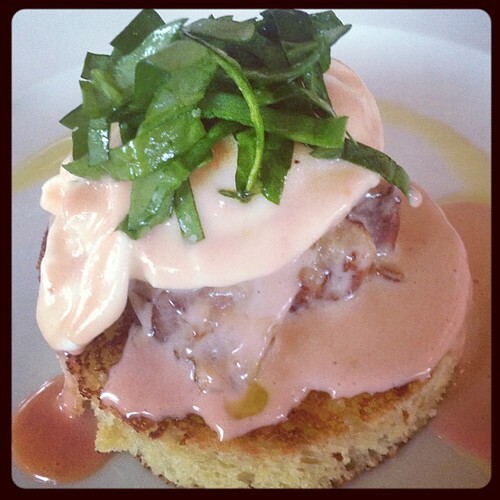 Blood orange-infused hollandaise. That not enough? How about braised bacon? Plus a sea of Oregon sparkling wine. A magical brunch at the Black Walnut Inn in Dundee, OR. Not quitting my day job to take up a career in modeling, but I was astonished by the popularity of this…bag. And tickled that the bag’s creator, Sally Beerworth, found my post and left a lovely comment on it. (Read more about Sally and The Joy of Ex Foundation.) She even sent me a bag to use for a giveaway. Entrants had to leave a comment and book recommendation, which netted me 61 (!) 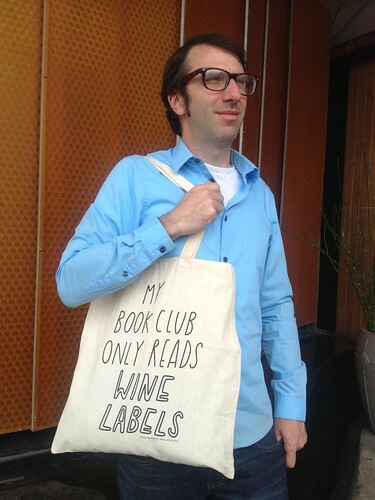 intriguing book recommendations from wine drinkers. The most recent of which I read was a collection of short stories by Raymond Carver: “What We Talk About When We Talk About Love.” Grim and unflinching, but utterly compelling. 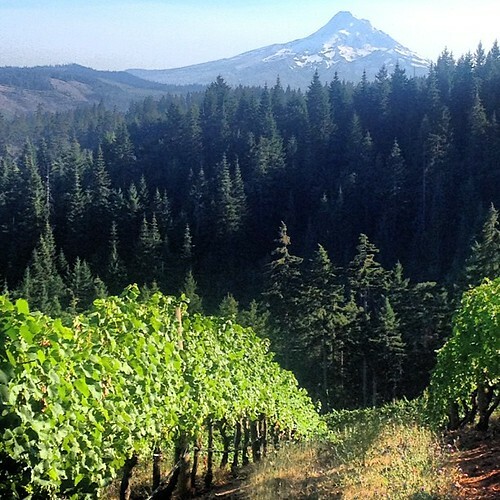 #1: Oregon Wine Country: To The Columbia Gorge! Thank you so much to everyone who read one or more posts, said so on social media, left a comment, and/or (the best) had something nice to say in person, face-to-face.